In the conversation with JonArno Lawson that I posted last week, JonArno told me that life can be flipped on its head at any point and maintaining a playful attitude will help you to stay afloat. I doubt very much that truer words have ever been spoken. 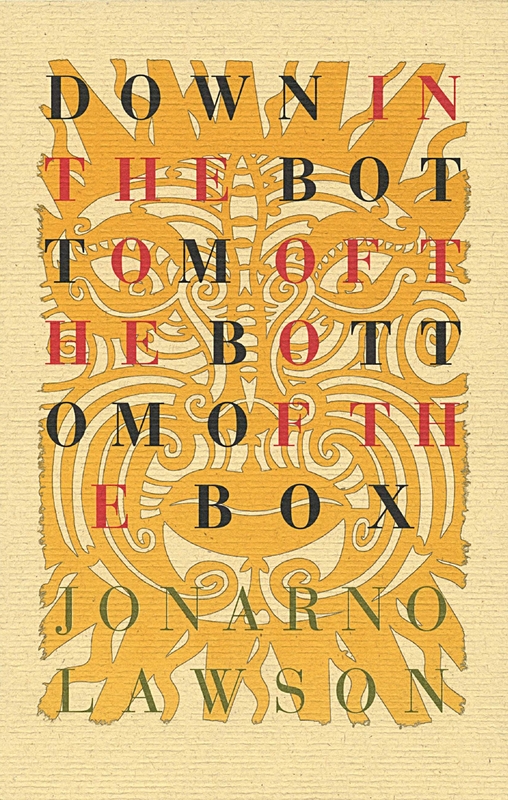 JonArno demonstrates his ideology well in his most recent book, Down in the Bottom of the Bottom of the Box, a lively collection of truly funky poems. In JonArno’s collection, Noah makes a serious oversight when he neglects to invite the gryphons, dwarves, and elves onto his ark; Baa Baa Black Sleep is less than willing to share its wool; and Sleeping Beauty becomes a chronic insomniac for fear of another sleeping spell. To be sure, things aren’t quite the way we expect in JonArno Lawson’s incredible world. Despite all the absurdity, what comes to the fore in the collection is language. It’s the focus of all the poems, the driving force behind every verse. 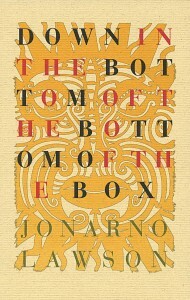 With wit and incredible mental agility, JonArno has crafted this collection with his immense love of words at its very heart. The poems are like a game, as he tests where he can trip you up—not only with their whacky content, but also with their mischievous sounds. He packs lines with assonance, trips us up with alliteration, and boggles the mind with heterographs and heteronyms. But it all comes back to what he said in our interview, if you can handle a little bit of world-flipping every once and a while, perhaps you’ll be better able to handle the everyday stresses of life. At the very least you’ll be having a lot more fun! In my conversation with JonArno last week, he broke down the genesis of his poem “Snow White” for us. Other fun poems that pop up in Down in the Bottom featuring our favourite fairy tale characters are Sleeping Beauty in “Beautiful Insomniac” and Little Red Riding Hood in “Little Red Riding Wolf.” Tell me your favourite fairy tale character for a chance to win a copy of JonArno Lawson’s Down in the Bottom of the Bottom of the Box. Leave a comment on the blog or tweet us at @PorcupinesQuill, #FairyTale. Figures from Disney are acceptable—but the weirder your entry is the better! Donkey Skin anyone? Down in the Bottom launches next week at the Maizal Quesadilla Cafe. This entry was posted in Letters from the Porcupette (the Intern's Blog) and tagged Down in the Bottom, Down in the Bottom of the Bottom of the Box, giveaway, JonArno Lawson. Bookmark the permalink. My favourite character is the wise eldest princess, who has a good sense of humour, in “The Twelve Dancing Princesses” (the 1978 Faber/Viking version, illustrated by Errol Le Cain).